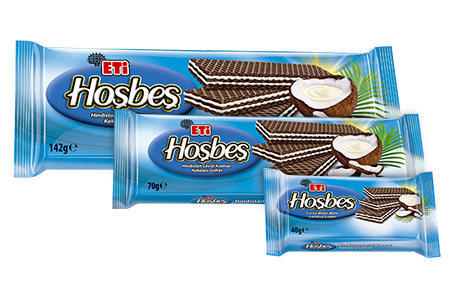 Eti Hoşbeş, launches a novelty in wafers market! Filled with delicious coconut cream between very thin cocoa wafer layers… It is the wafer which makes you want to eat one after another. ETİ Hoşbeş, stop, if you can!